Oh no! 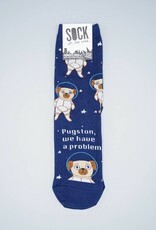 Pugston!!! This little pug seems to have floated out into space. Where's his crew? Where's his ship?! Don't worry, we're sure he'll find his way to them in no time. Dogs have the amazing capability to find their way home from miles away. With a little work and lots of serious sniffing, this pup will get back to safety. 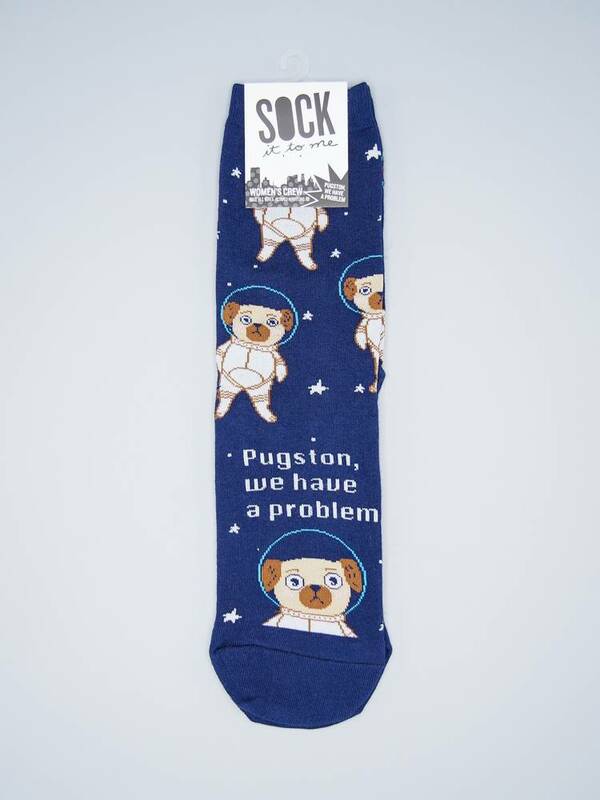 Wear these quirky crew socks to show support for this lil pug!